Welcome to the evergreen London musical, Phantom of the Opera running with packed houses at the Her Majesty’s Theatre! 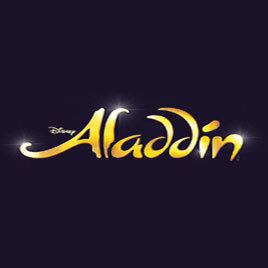 The musical show marked its premiere on 9th October 1986. The stunning star cast of Michael Crawford and Sarah Brightman as Phantom and gorgeous Christine in the lead roles made the first production an instant hit among the viewers. The award winning show also celebrated its silver jubilee record breaking year which captivated the audience of London Westend with 10, 000 performances at Her Majesty’s London Theatre. Mesmerizing musical score by Andrew Lloyd Webber along with scenic background beautifies the tragic love saga between the two. The spectacular London musical Phantom of the Opera enjoys an astounding success. A new musical director James KcKeon has joined the creative team of Phantom of Opera. The magic of Phantom of the Opera is simply inescapable with gross worldwide earning of $5.6 billion. Phantom of the Opera is the winner of around 70 major theatre awards which comprises of three Olivier awards, 2002 Olivier Audience Award for most popular show, Evening Standard Award, seven Tony awards, seven Drama Desk Awards and three Outer Critic Circle Awards. The phenomenal love saga has been produced in over 150 cities and 29 countries across the world which comprises of Australia, Austria, Belgium, Brazil, Canada, China, Denmark, England, Germany, Holland, Hong Kong, Hungary, Ireland, Japan, Korea, Mexico, New Zealand, Scotland, Singapore, South Africa, Spain, Sweden, Switzerland, Taiwan and The United States. 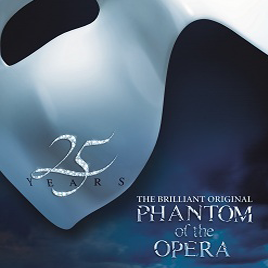 The mesmerizing London musical Phantom of the Opera can be enjoyed at fullest at Her Majesty’s London Theatre! We offer safe and secure booking with seat allocation made before the payment done. Recommended for ages 10 and over. Under 5s will not be admitted. Parental guidance advised.The sides of the Grand Circle are side view restricted. The rear of the Stalls and Royal Circle are restricted by the overhang. Wonderful theatrical experience with brilliant musical compositions! 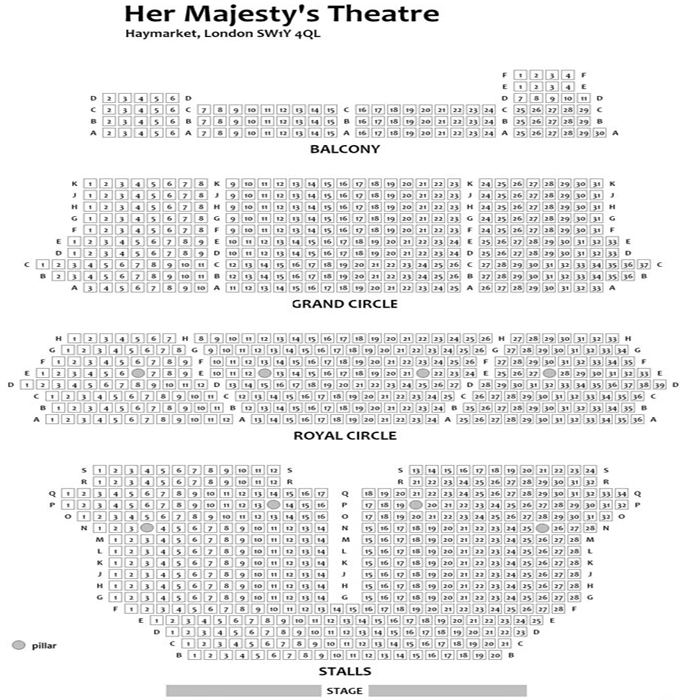 The Phantom of the Opera is one of the longest running shows at Her Majesty’s Theatre. The magnificent London show by Andrew Lloyd Webber simply spell binds the audience with its gripping and tragic love saga and heart touching musical numbers. The show marked its premiere on 9th October 1986 featuring amazing talents like Michael Crawford, Sarah Brightman and Steve Barton I have also enjoyed the movie version of Phantom which was hugely entertaining and created lots of interest in the stage musical. Brilliant performances, great music and heart touching tragic love saga makes the Phantom of the Opera an all time hit. This is certainly one of the most loved London musicals. Amazing show and beautiful performance. I enjoy a lot the story and songs. The decoration and costumes were gorgeous! Would recommend to anyone who wants to experience theaters in London. The main reason for my London visit. I had been to London a few times before but I came specifically this time around just to see "Phantom of the Opera". I was so thrilled to see the original production of "The Phantom of the Opera"! I've been a fan for as long as I can remember. I remember when I still had a voice coach I would always beg to sing repertoire from this musical. I've seen POTO at three different venues now: London, Las Vegas, San Diego. The cast did a wonderful job. Although I hate to say it... I'm not going to say it but I will... I think the Las Vegas production was my favorite!!! EEEEEK! I know I know! I love the original London production too but the first time I saw it in Las Vegas I was amazed by the venue and stage at the Venetian Hotel as well as the ginormous chandelier on stage. Also, they had fireworks for the rooftop scene. Okay okay, I'll stop talking about LV. Yes, come to see "Phantom of the Opera" in London and get your self assimilated into the art of musicals!!! It will be a memorable experience! I was so impressed with The phantom of the opera. The actors were amazing!! So talented and the props were spectacular!! They had a full bar and snacks available for before the show and during intermission. Chairs were just what you'd expect, just like any movie theater style seating. I'd definitely recommend this place and show. The Phantom of the Opera will always be my favorite Broadway show. I'm a fan! I grew up listening to the songs since my mom played the CD quiet often at home. I originally watched the Broadway show 10+ years ago with my dad and I remembered that our seats were far back from the stage (aka nosebleeds seats.....ok, I'm just over exaggerating a bit). I watched the 2004 movie version of the show where Gerard Butler played the Phantom and Emmy Rossum played Christine Daaé. I also read the book ages ago too. Flash forward to now....lucky me...I won Broadway lotto tickets last weekend and I took my boyfriend to see this show. He never watched it yet and this show was on his Broadway show list. The seats were great and we were sitting in the 2nd row of the left side orchestra section along with other Broadway lotto winners. All of the songs were great. But, these were my favorite songs of the show: The Phantom of the Opera, The Music of the Night, and All I Ask of You. Since we were sitting so close to the stage, we got to see the details of the stage design, costumes, and makeup. The boat scene during The Phantom of the Opera song is my favorite and it's pretty amazing to watch up close. The only downside sitting near the stage is that you can smell the smoke odor during the minor fire effects. The show is 2.5 hours long with 15 minutes intermission. This is a classic Broadway show that people should watch at least once. I hope that people will enjoy the show as much as I did. Review by Linda T.
The actors are fantastic with amazing voices. It literally gave me goosebumps throughout the show. The atmosphere was incredible and dramatic. Everything from the musicians to the stage was perfect. Its one off the bucket list, but I will definitely go again!!! Thank you Her Majesty's Theatre!! Enjoy the award winning tragic love classic The Phantom of the Opera at the magnificent Her Majesty’s Theatre with online advance booking of Phantom of the Opera Theatre Tickets! Enjoy the real magic of London classic with lip smacking meal deal packages available at great rates at most of the nearby restaurants. The ultimate party venue to eat and drink offers some great British cuisine, whereas the restaurant is just located at a distance of 202 meters. Some of the major delicacies of the restaurants are Chilli Con Carne topped with melted cheese and served with rice and spicy tortilla chips, Macaroni Cheese (V) with toasted chive crumb, Spiced Tuna Melt with melting Mozzarella spring onions and a salad garnish and Fish Finger Sandwich. 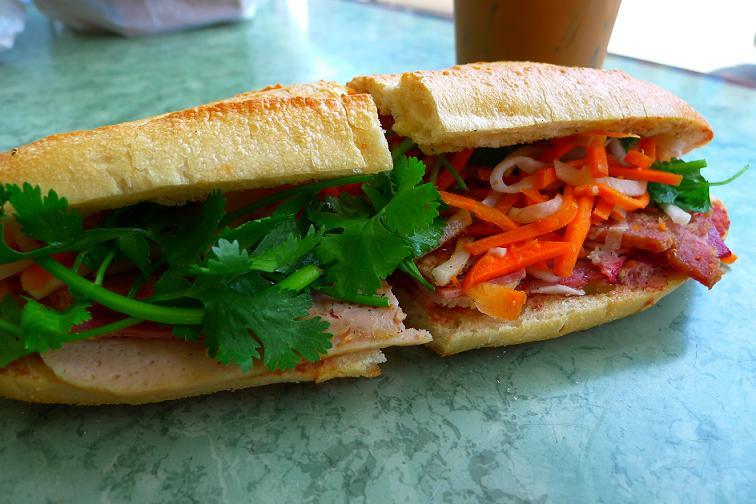 Enjoy some of the finest traditional English food at Porters English Restaurant! Some of the popular delicacies of the restaurant are Porters Steak and Kidney Pudding, the Fisherman's Pie still as creamy, and the steamed syrup sponge, Steak, Guinness and Mushroom Pie Steak in a sauce of mushrooms, tomatoes, Guinness and herbs, topped with puff pastry, Wild Boar and Sage Sausages: A delicious gourmet sausage for the connoisseur, served with onion and ale gravy, Lamb and Apricot Pie: Lamb with apricots, onions and mint, Shortcrust hot raised pie with a jug of gravy.